I have recently developed a taste for cider. A guy is using the Kingdom Brewery premises here in Phnom Penh to produce apple and pear cider which is excellent though a tad carbonated. it selles for around $2.50 a bottle. 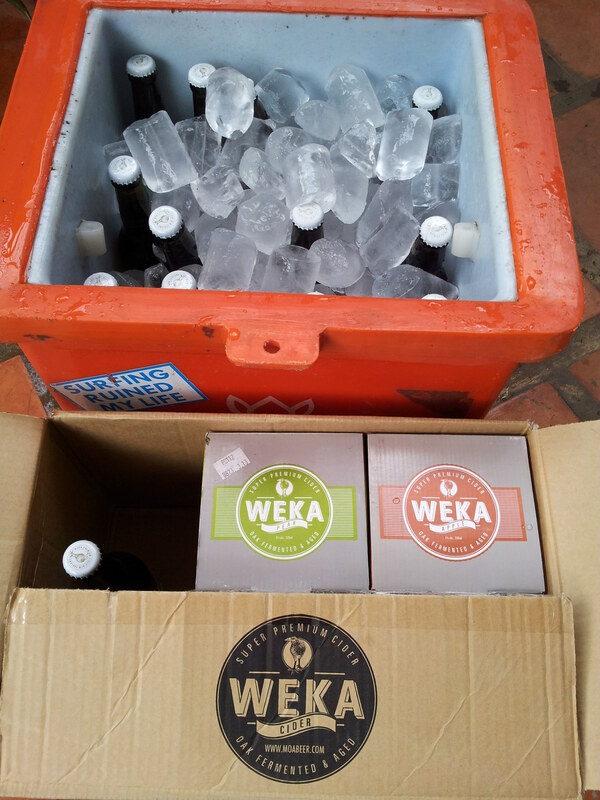 Then my local mini market sells WEKA cider which is just the duks nuts. From New Zealand, it isn’t cheap at $3 + a bottle but when it is crispy cold the pear cider in particular is heaven in a bottle. So i bought a case recently and it lasted….oh…about a second. Send a box over. only issue i have with cider is i can only drink about 4 of them and then i am bloated ! This is as light as fairy dust with very little carbonation. Email me an address and ill get some over to you. You DO realise how gay you sounded …right ? It does of course blow your socks off too…..
Who ? The fairy ? too much info mate. i thought you were happily married ? I’ll tee em up and you knock em out the park….! You want some or what ?